USD men’s basketball has had a few setbacks because of injuries this season, but a fully healthy squad was able to win a crucial 65-63 victory against Loyola Marymount on Thursday. The win wasn’t an easy one. 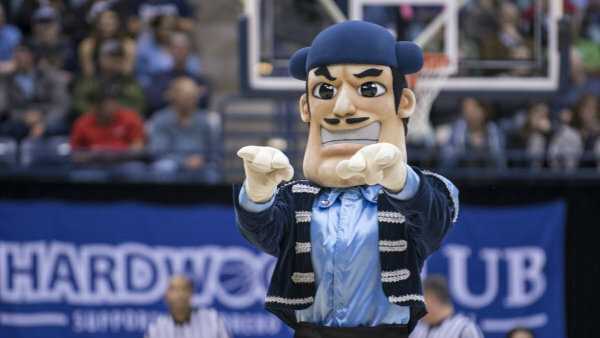 The Toreros (16-8, 5-4 West Coast Conference) was trailing late into the second half until Olin Carter III made it a one-point game and Isaiah Wrights two scores gave USD the lead for good. With 4:16 left in the game, USD was down 57-53. A pair of three throws by Wright and LMU’s Dameane Douglas kept it a four-point game until Carter sank a trey to cut the Lions’ lead down to one. Eli Scott’s tip-in extended the Lions’ lead to three with1:39 to go, however, Wright scored to back-to-back layups put USD up by one, 64-63. A free throw by Yauhen Massalski off a Scott foul set the final score but not before James Batemon attempted a 3-pointer in the final 18 seconds to try to give Loyola Marymount (16-8, 6-4) its 11th home game win in 12 games. With the win, USD is now in fourth place in the WCC. Carter led the Toreros with 15 points, followed by Wright with 14 points. Massalski and Isaiah Pineiro had a double-double each with 12 points and 11 rebounds for Massalski and 11 points and 10 rebounds for Pineiro. Up next, the Toreros complete their three-game road stretch at Pepperdine on Saturday.